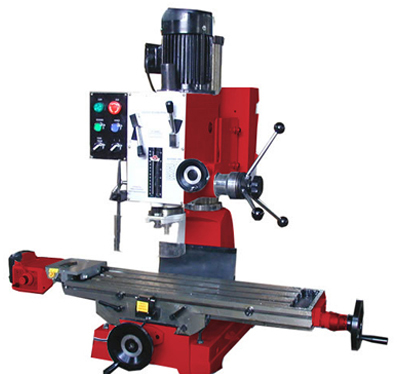 Apart from conventional advantages and features of drilling/ milling machine, KY45FG-1, KY40FG-1, KY32FG-1 drilling-milling machines have other advantages such as cycle change of spindle speed, automatic feeding for spindle, etc. 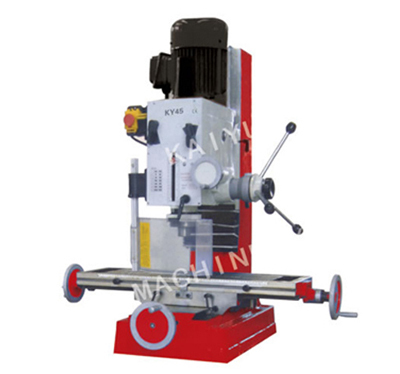 As a professional supplier of drilling milling machine in China, Kaiyun Machinery Company strive to provide not only high quality low-priced drilling machines, milling machines, but also offer courteous services. 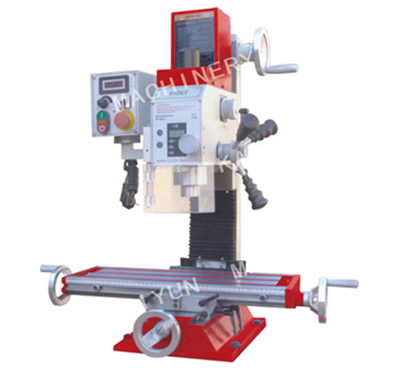 As a professional supplier of drilling milling machine based in China, Kaiyun Machinery Company can provide a variety of drilling milling machines, including KY16V, KY20V, KY25V, KY32V, KY45, KY40FG-1, KY45G and KY45FG type drilling milling machines. 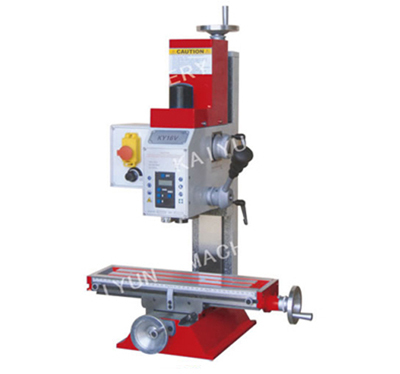 Our drilling machines, milling machines, mini drilling machines and mini milling machines and other products are all CE certified and are environmentally friendly, so you can feel secure in using them. 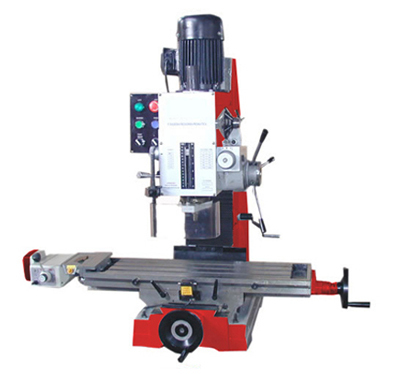 Showing consideration to our customers, we strive to offer high quality and competitive prices drilling milling machines, metal band saws, and other products to our customers. To ensure the quality, we cooperate with renowned manufacturers who operate with advanced technology and equipment, experienced designers and technicians, as well as strict inspectors. 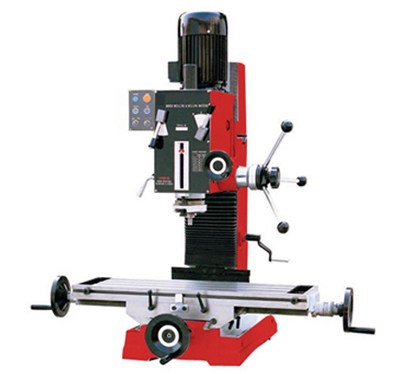 To guarantee the low prices, we orders drilling milling machines, metalworking lathes, glassworking lathes, woodworking lathes and other products in large numbers. 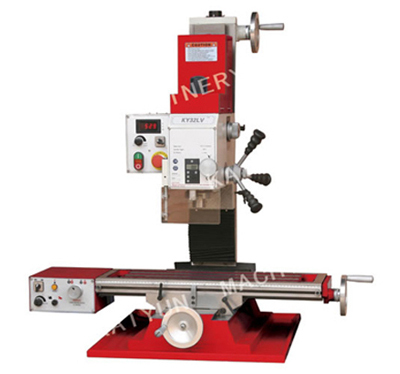 Furthermore, we also emphasize on after sale services. 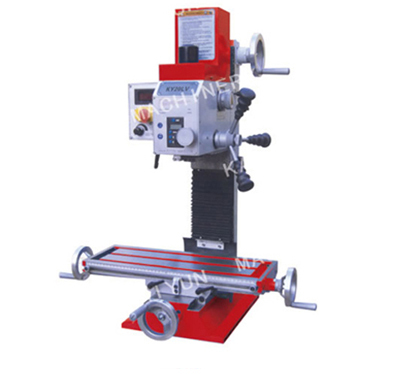 If there is any quality problem about drilling milling machines, you can drop us a line immediately. We are always ready to provide service for you. We expect to receive your order. 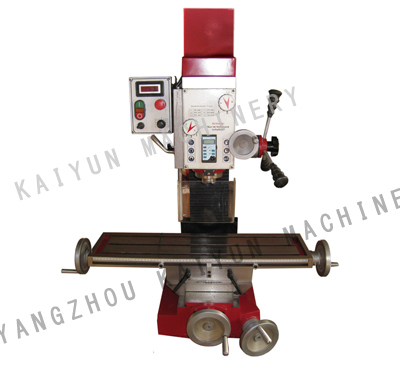 If you have any special requirement, please feel free to contact us at Kaiyun Machinery Company.